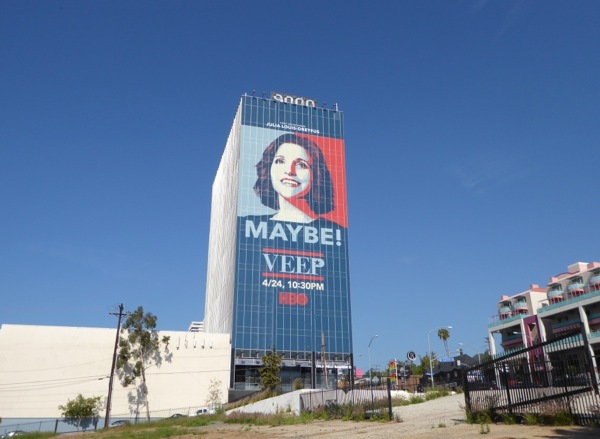 Veep's season promo billboards are always inventive and right on point, but this latest parody of President Obama's 'Hope' 2008 U.S. presidential election campaign poster by Shepard Fairey, just may be the best to date. 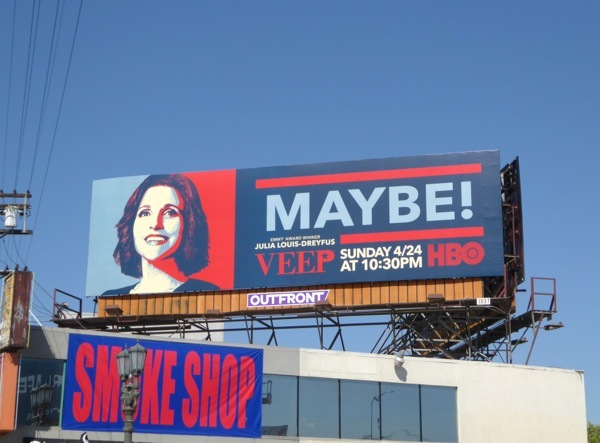 And 'Maybe!' 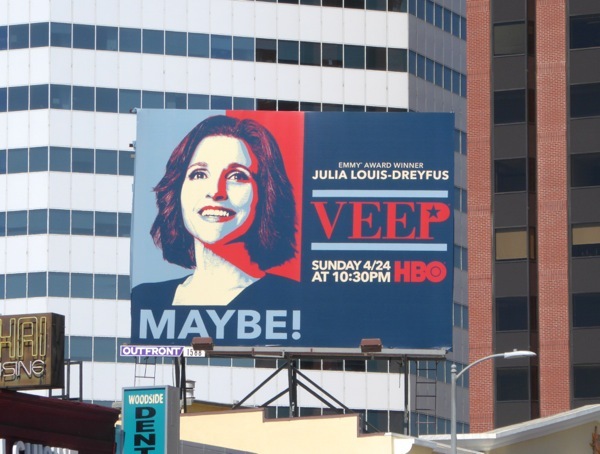 really is the perfect platform for Julia Lois-Dreyfus' inept sitting POTUS 'Selina Meyer' to run on, trying to get elected for the first time, rather than achieving the position by default. 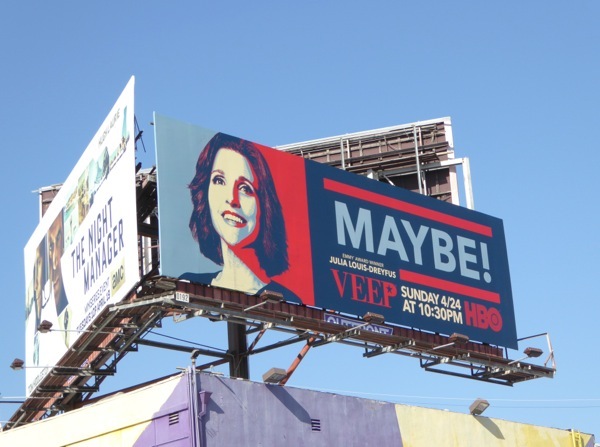 The award-winning and criticaly-acclaimed political satire has already provided the actress with four Emmy awards, so let's see if she can make it five in a row with this fifth season. 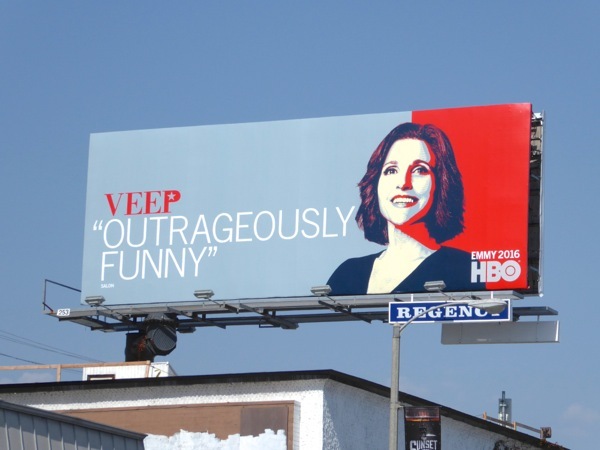 The show has also provided Emmy wins for other members of the cast like Tony Hale and nominations for Anna Chlumsky, so she doesn't just provide the laughs by herself. There's never been a better time for this Maybe! spoof ad campaign with the U.S. presidential primaries whipping the country up into a voting frenzy to decide the Democratic and Republican candidates. 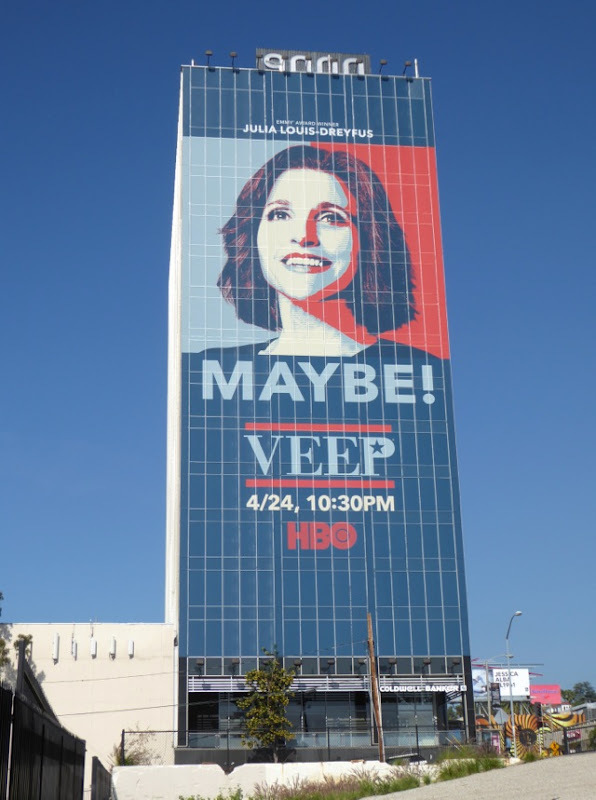 You can't help but this all the recent campaigning is providing bucket loads of material for the show's writers to exploit, the farce of it all almost writes itself. 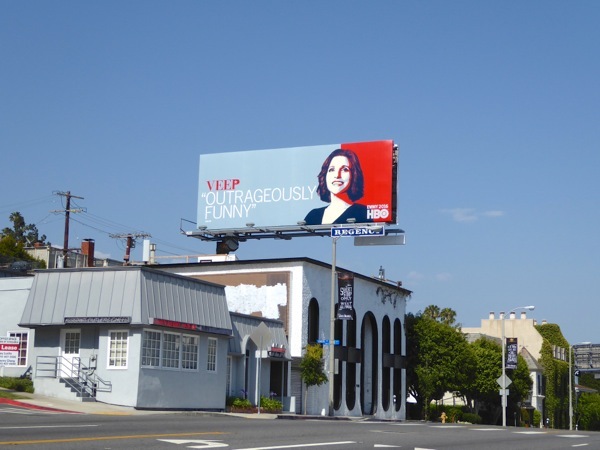 These hilarious billboards were first spied around the streets of L.A., including La Cienega Boulevard, Westweood Boulevard, Sunset Boulevard and 3rd Street, on March 31 through April 2, 2016. 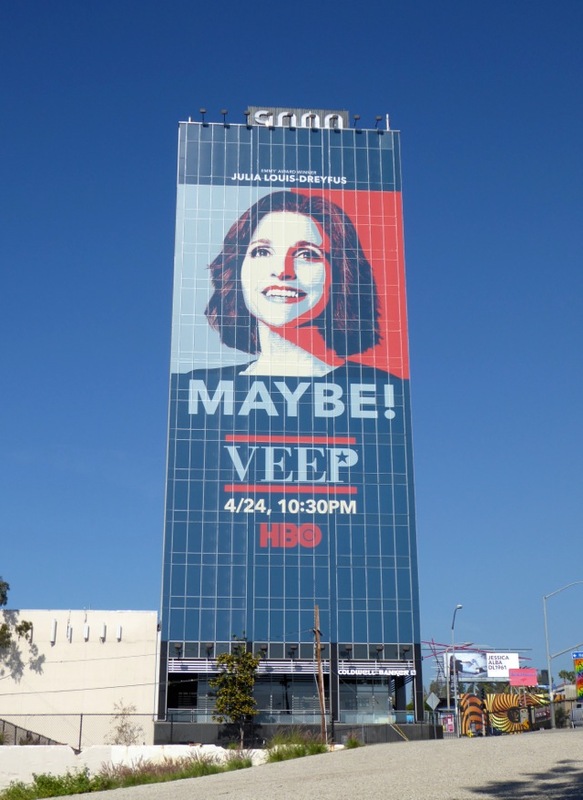 Meanwhile the giant-sized version with Julia Louis-Dreyfus' red, white and blue beaming face was shaped on April 12, 2016 above West Hollywood's Sunset Strip. 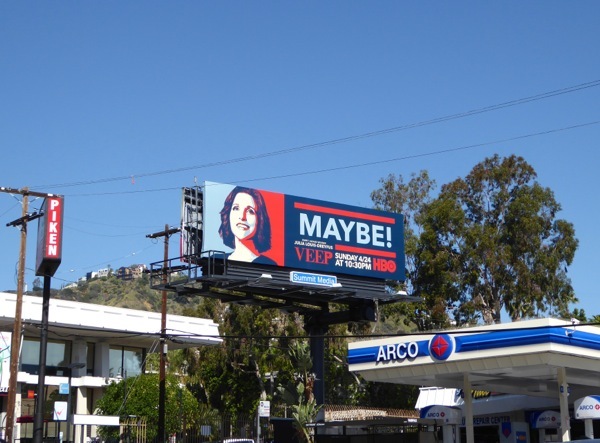 If you're a fan of the show, you can also check out last season's equally eye-catching Mount Rushmore parody billboards for Veep. 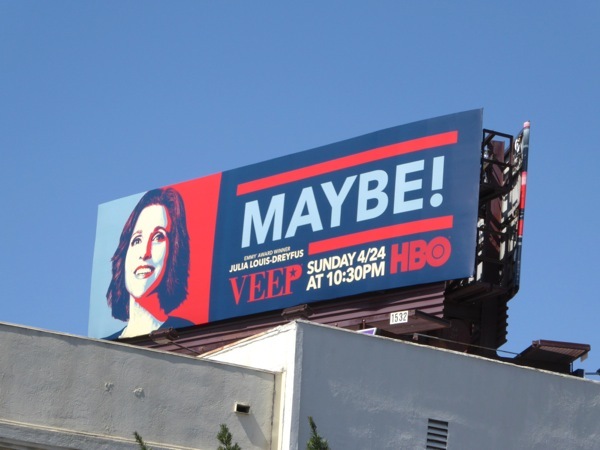 Plus Veep's season three Washington Crossing the Delaware spoof billboards which also made us smile. 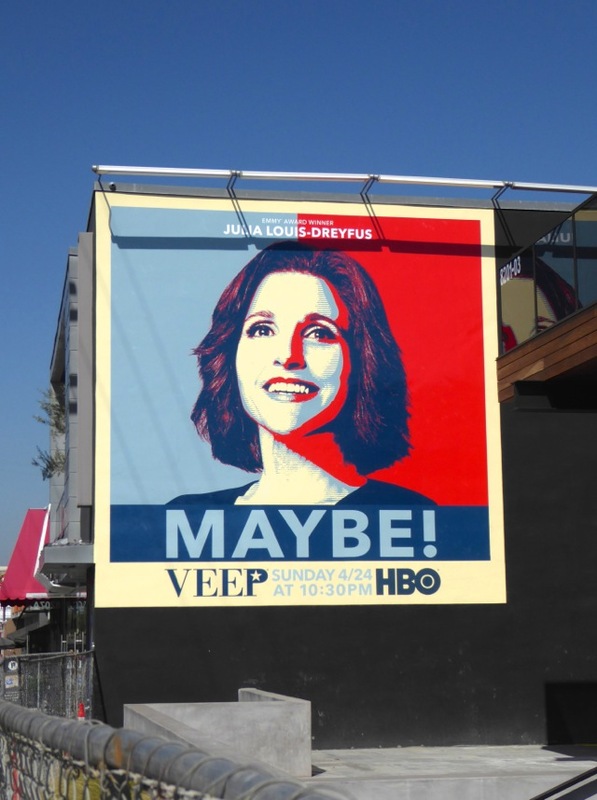 No one knows how the current presidential election will go, but one thing's for sure, Veep's fifth season will surely provide something to laugh about in the world of politics and government. 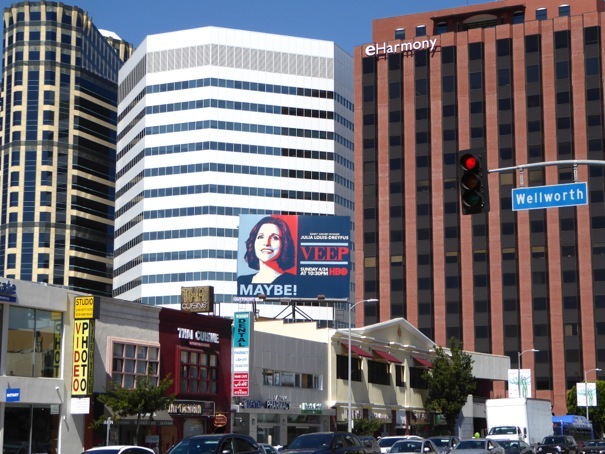 Would you vote for this candidate compared to the others running in this year's race for the White House? 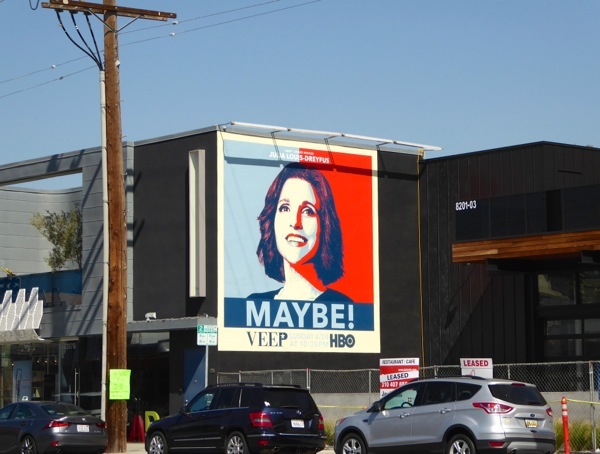 In light of recent events, she couldn't do or say anything worse we're sure. 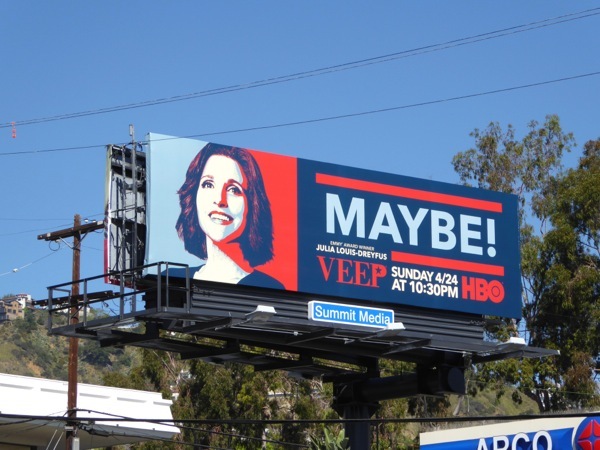 UPDATED: Here's also the Emmy consideration billboard design for the 'outrageously funny' fifth season utilising the Maybe! 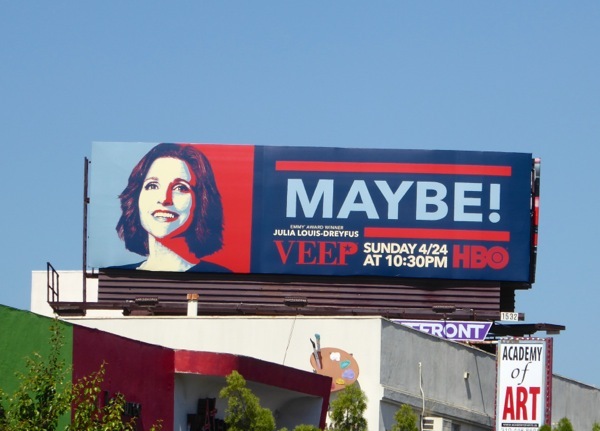 key art, spotted along the Sunset Strip on May 30, 2016. Julia Louis-Dreyfus has taken home the Emmy award for Outstanding Lead Actress for the past four years, so can she do it again? Maybe.